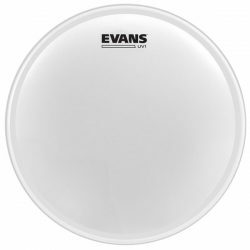 The Evans J1 Etched is an extremely sensitive drumhead, perfect for brushes. If you’re sick of your drumhead’s coating chipping away, the J1 is the answer. 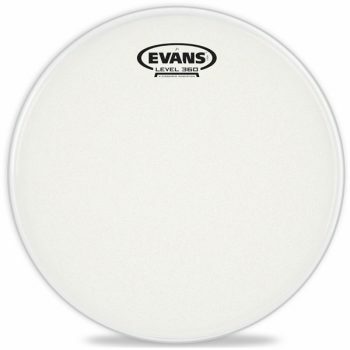 The Evans J1 Etched is made with a single ply of 10mil film, and a “coating” that is actually etched onto the drumhead rather than applied. This means the coating will not chip away, and will respond excellently to even the lightest touch. 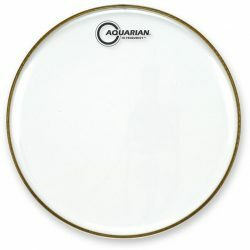 This drumhead is perfect for brushes, providing a great sounding and a sensitive playing surface. The J1 Etched is also very responsive to light and moderate drumstick playing, making this a great option for more delicate stick work. 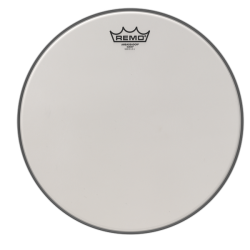 The 10mil ply is strong enough to handle a little heavier hitting, although very excessive heavy playing can damage this drumhead. Sound-wise, the Evans J1 Etched provides a lot of tone, sustain, and character. It has a mild-moderate attack, allowing it to sit well in a mix with other instruments. There is no added dampening, meaning the J1 gives a lot of sustain and can bring some colourful overtones to your drum sound. 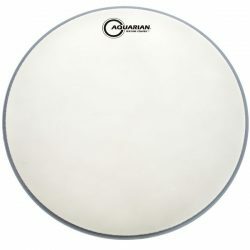 Leave this drumhead open to hear a full sound with a longer sustain, or dampen it to create a more controlled and fatter tone that retains the responsiveness. 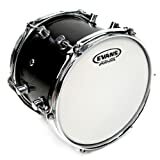 For a thinner drumhead, the sound of the Evans J1 Etched is well balanced. The J1 is not as bright as similar clear heads, with harsher high frequencies slightly reduced by the etched surface. 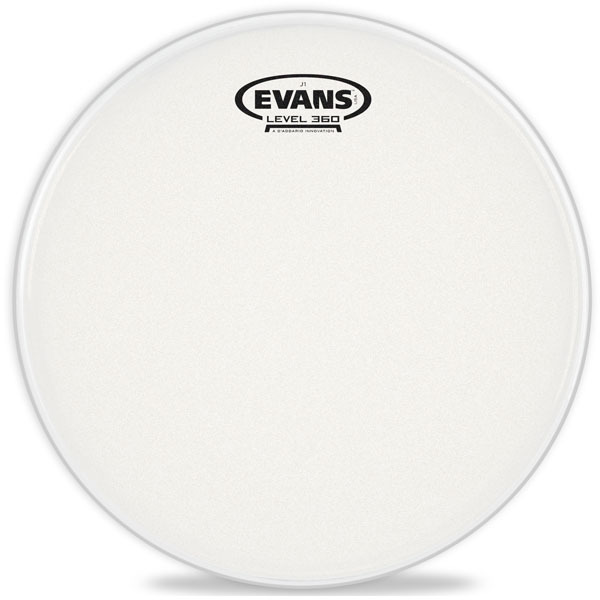 The Evans J1 Etched is a great choice for low and moderate volume drumming, especially when played with brushes. 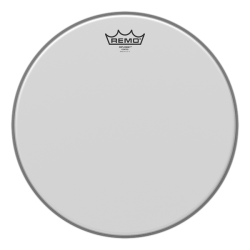 The Evans J1 Etched is available for snare drums and 12″ to 16″ toms.